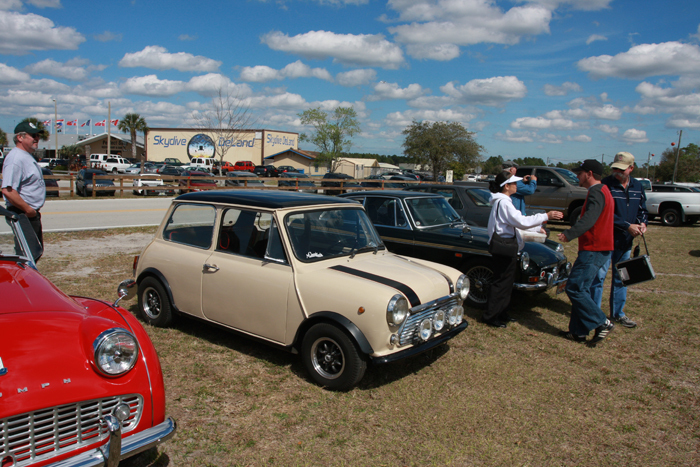 The Mini got some fresh air as we joined our local British car club for a trip to nearby DeLand. While there, we watched the skydivers land. That evening, we ran up to our local hot rod cruise night. Before shoving off, we replaced the shift boot. The new one is on the right. The Mini got some exercise this weekend as we joined the All British Car Club of Volusia County for a Saturday afternoon drive to Skydive DeLand—figure the entire trip was about an hour long. The cooling problems appear to be solved as the car behaved just fine. Upon getting home, we then made a quick run up to the local Harley dealership for one of their monthly cruise-ins. 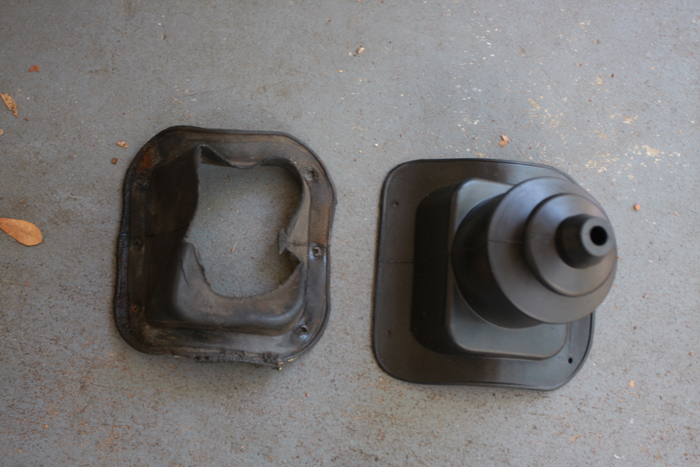 Before leaving, we (finally) replaced our shift boot. The shift boot isn’t just a cosmetic piece, as it’s also a seal—it keeps the hot, nasty engine air from passing into the cockpit.